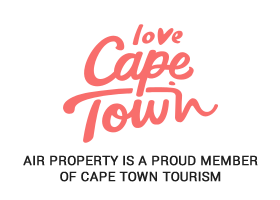 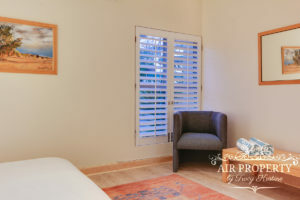 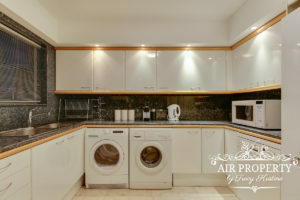 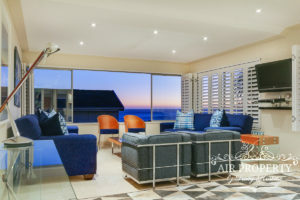 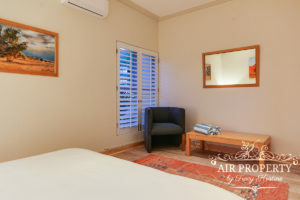 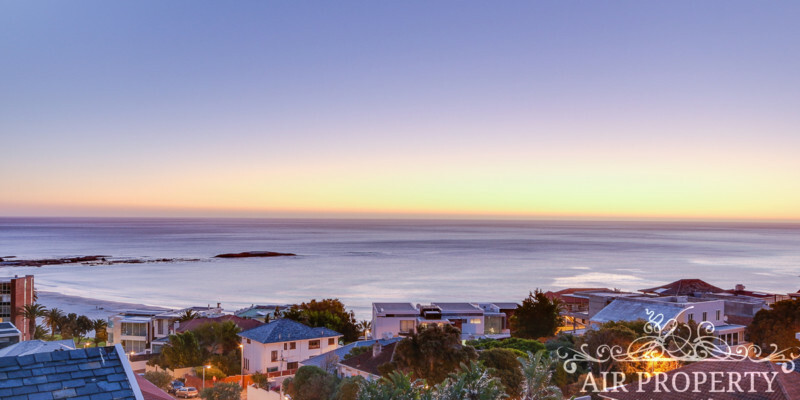 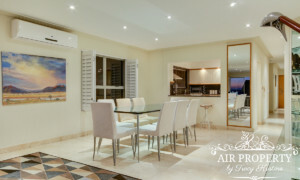 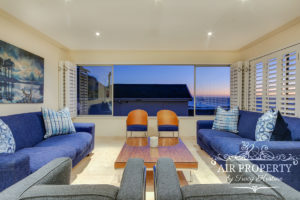 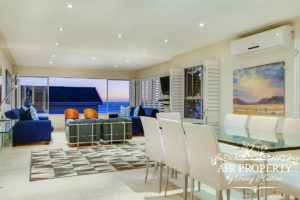 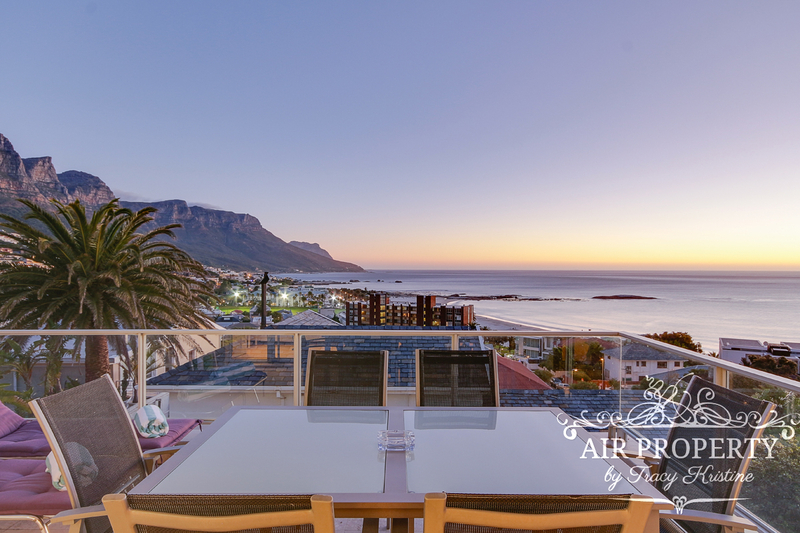 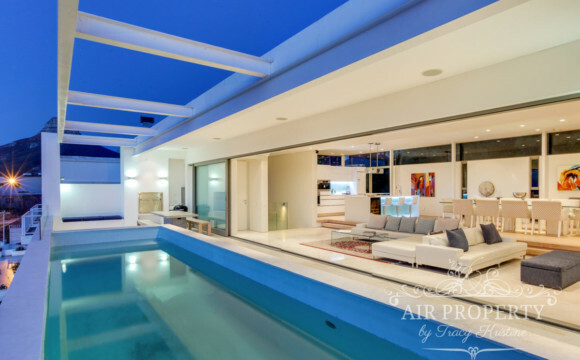 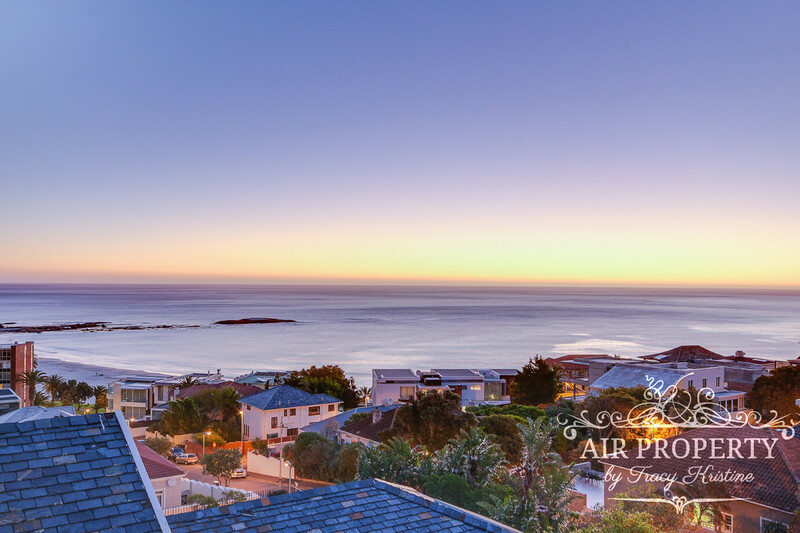 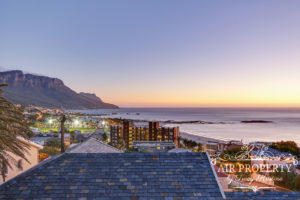 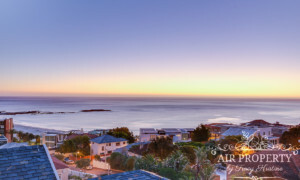 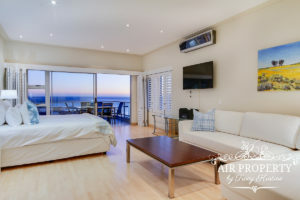 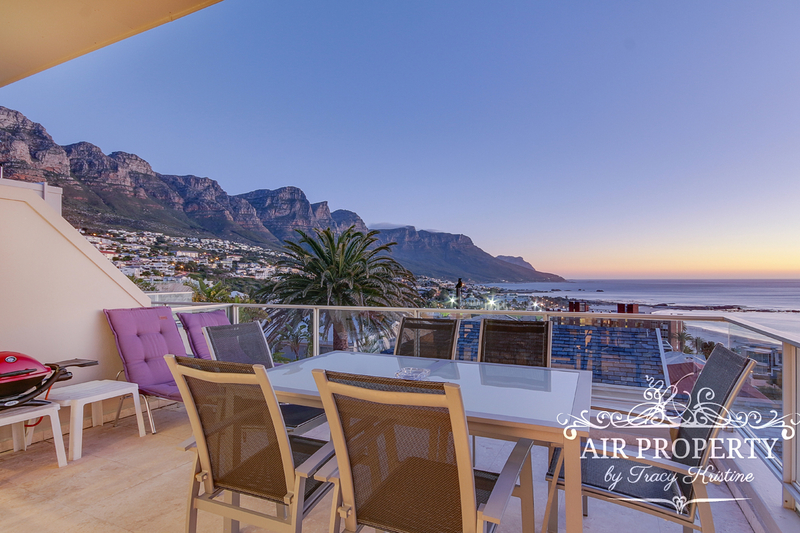 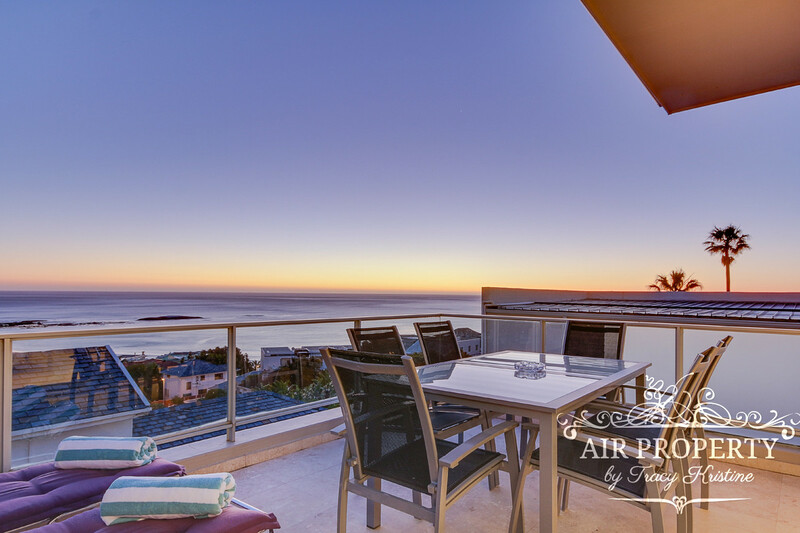 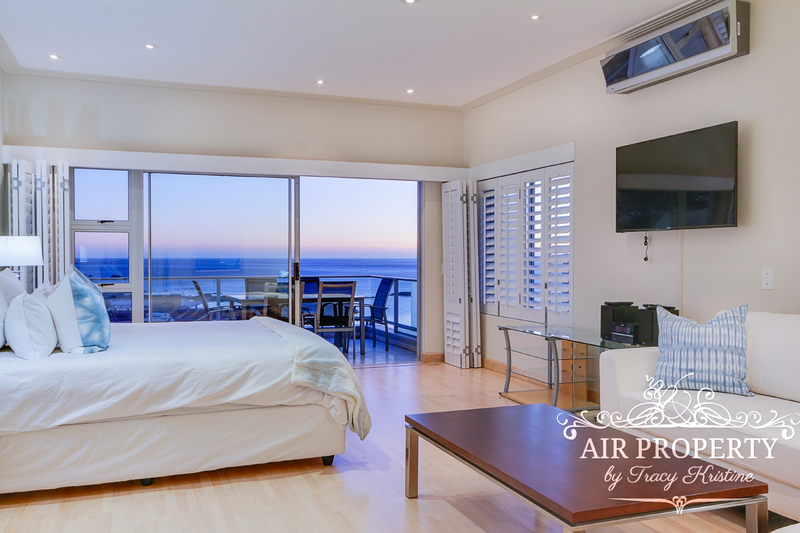 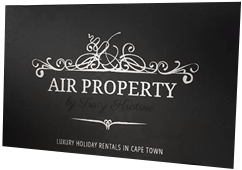 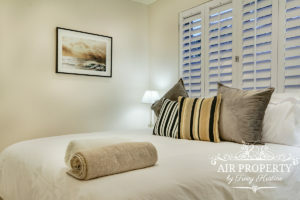 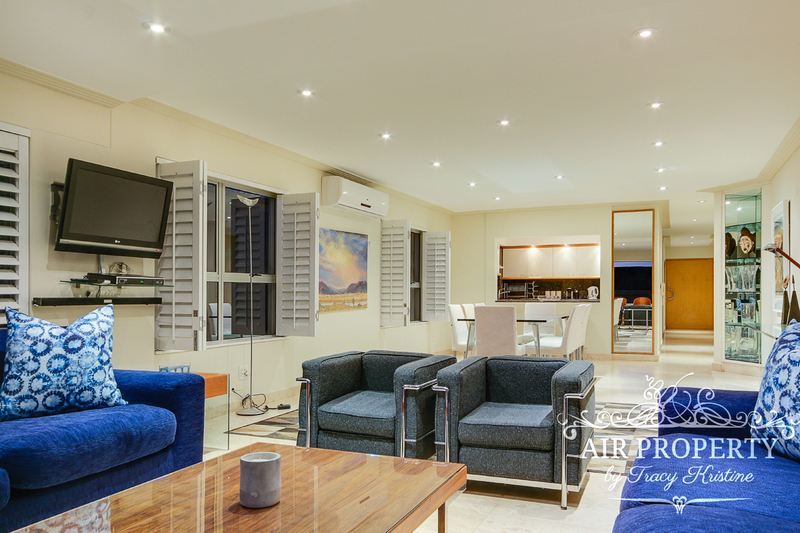 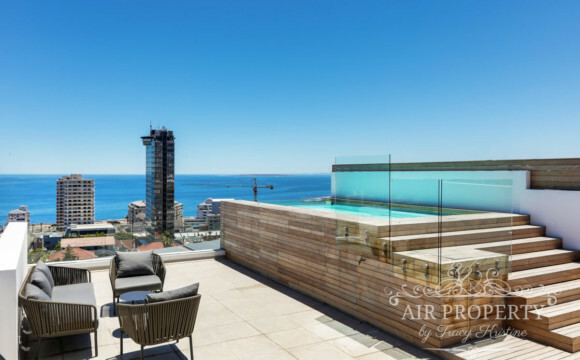 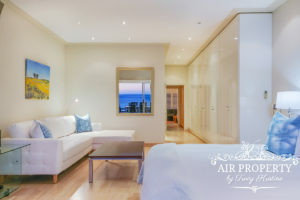 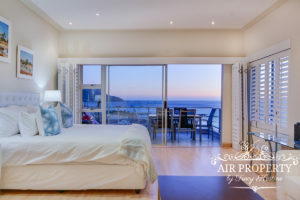 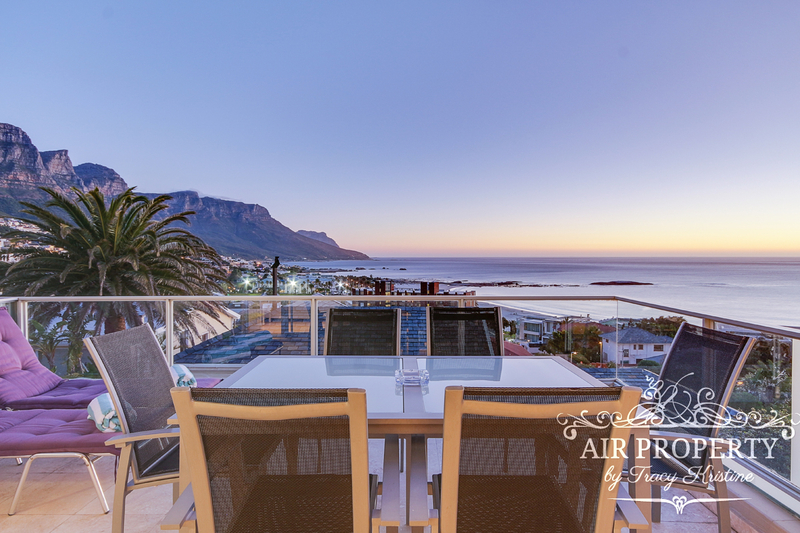 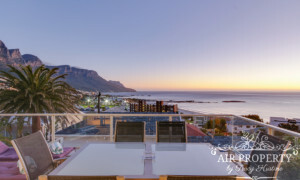 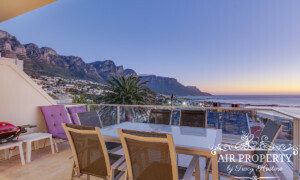 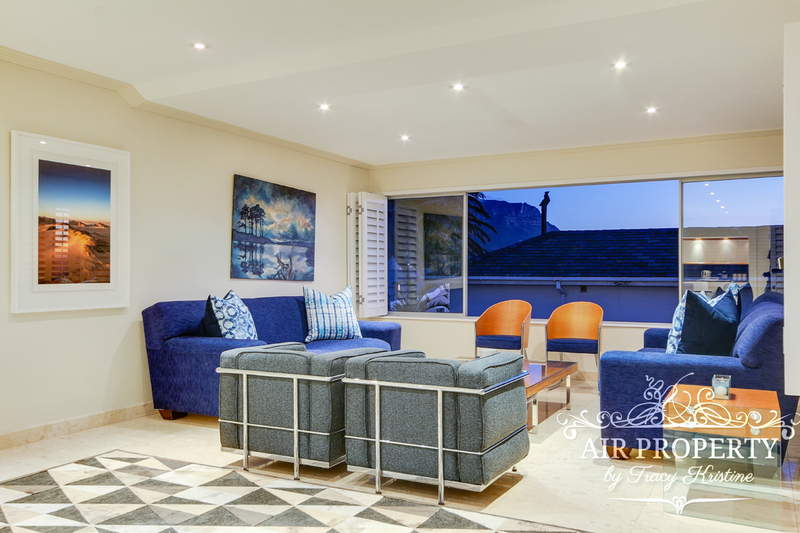 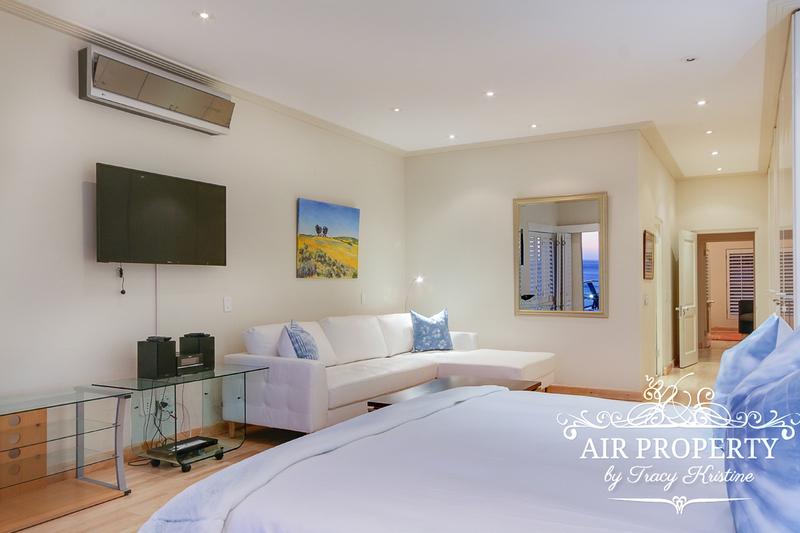 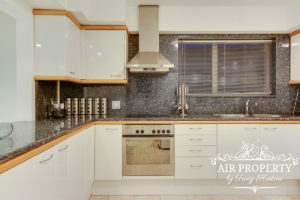 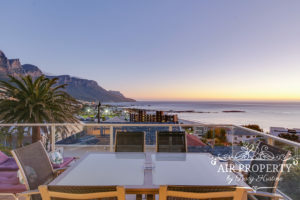 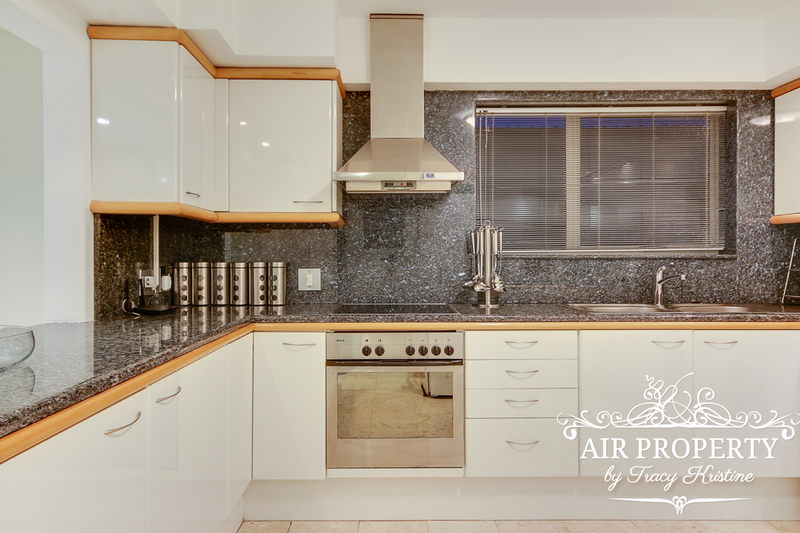 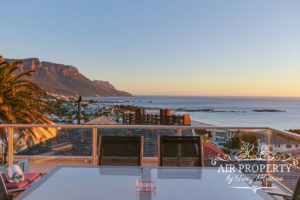 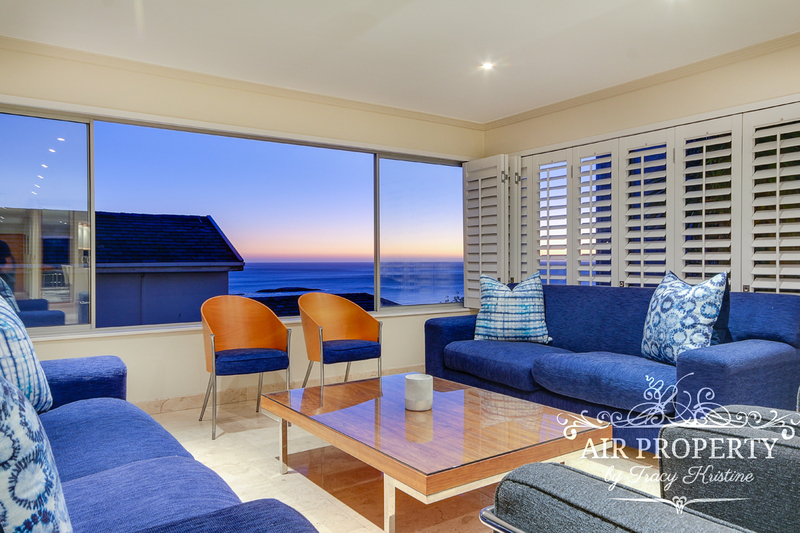 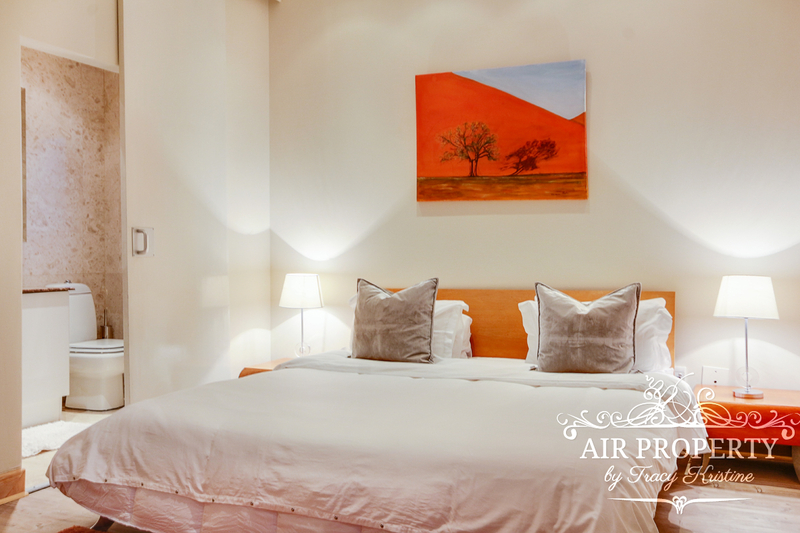 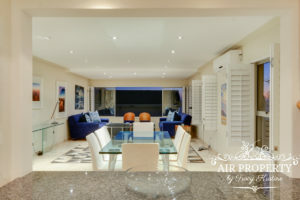 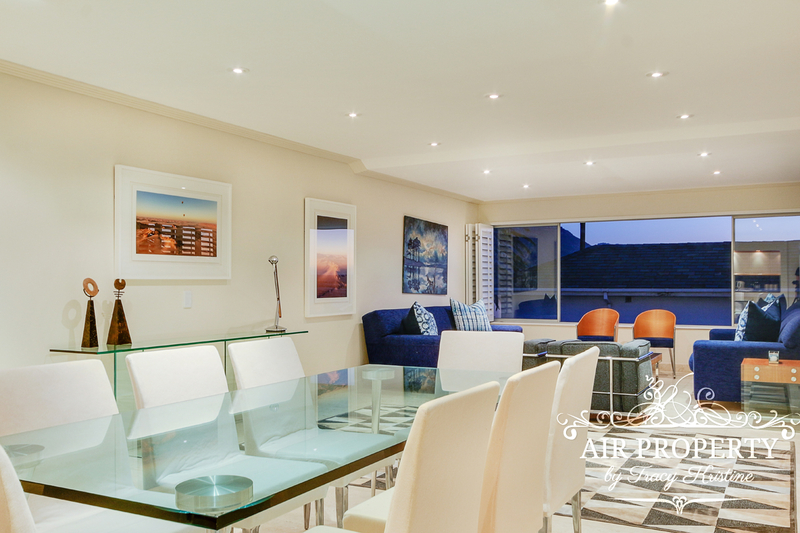 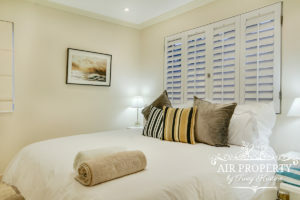 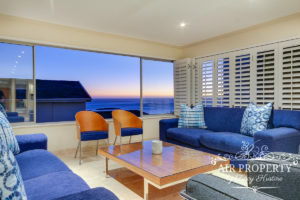 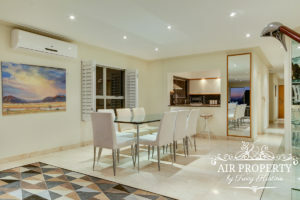 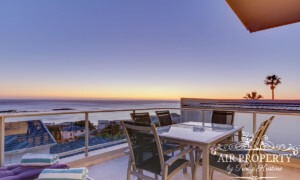 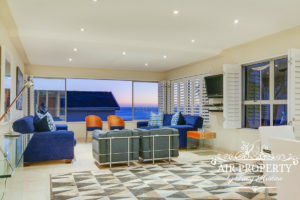 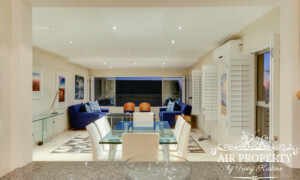 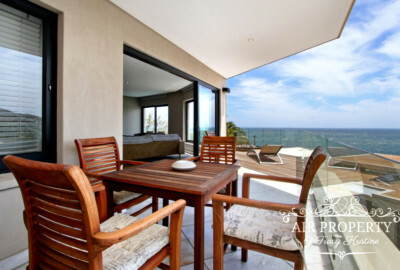 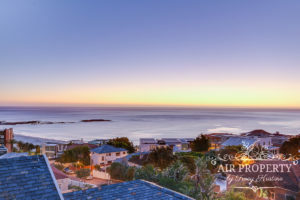 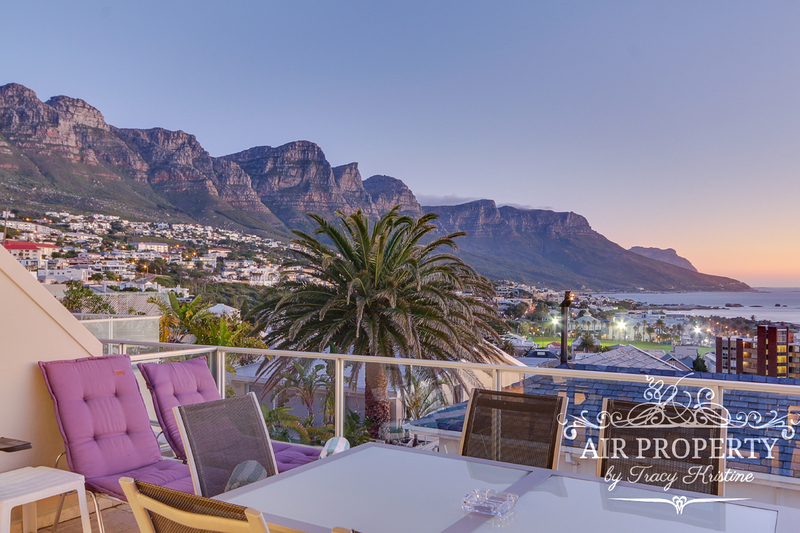 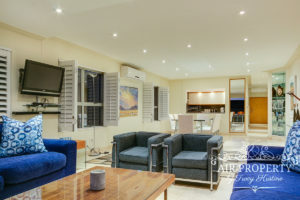 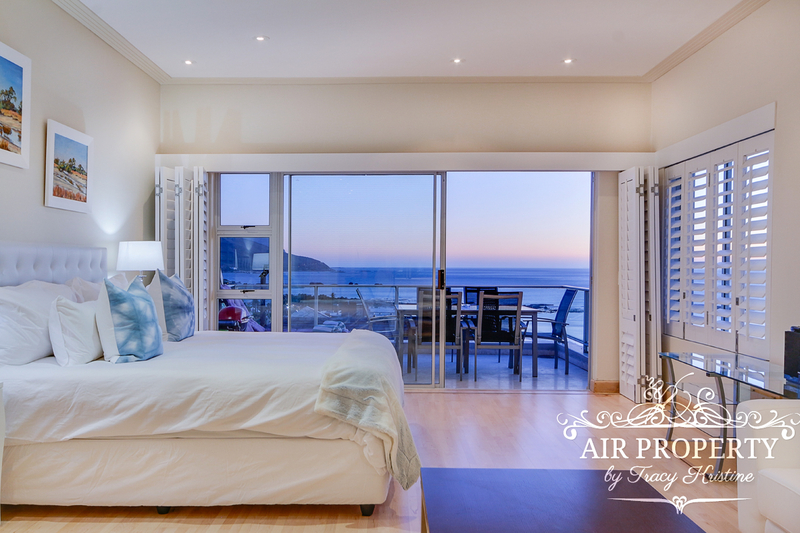 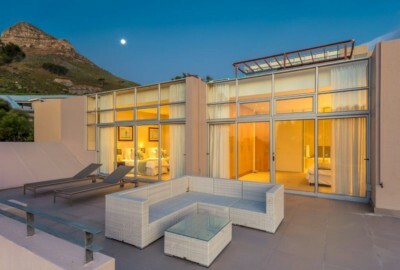 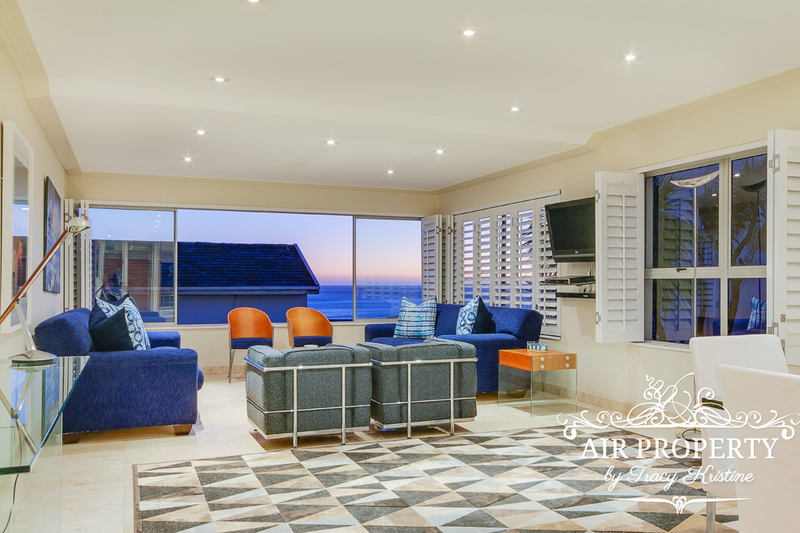 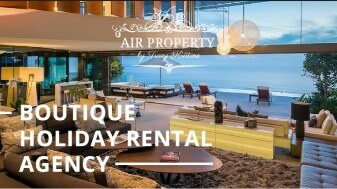 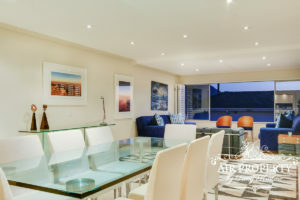 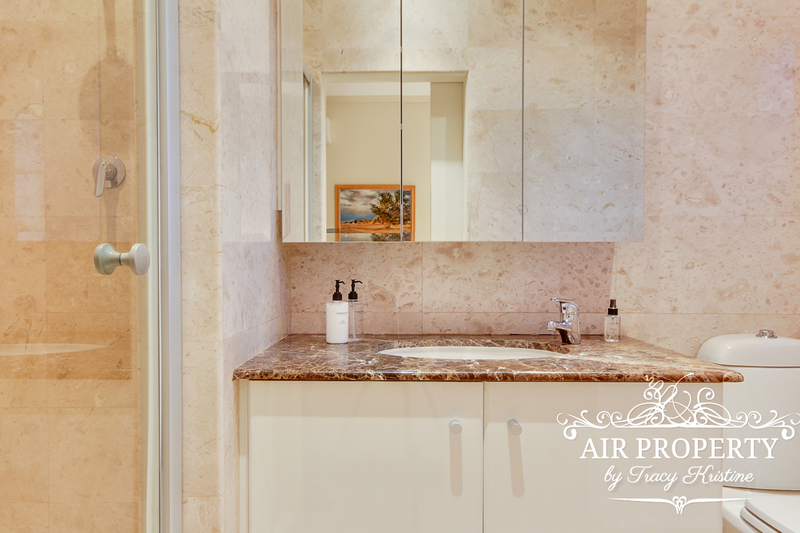 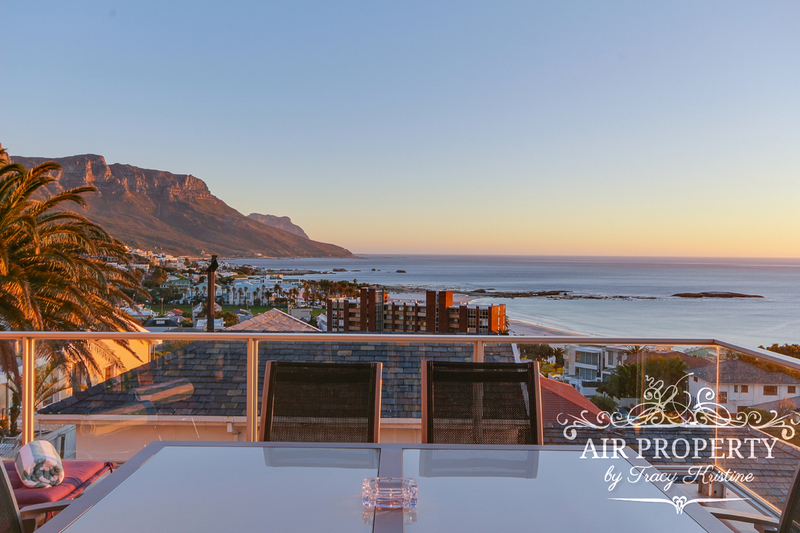 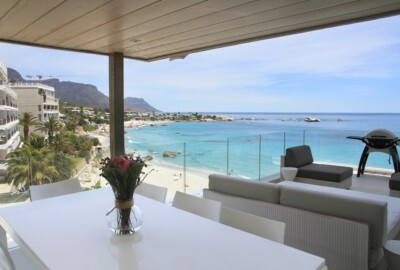 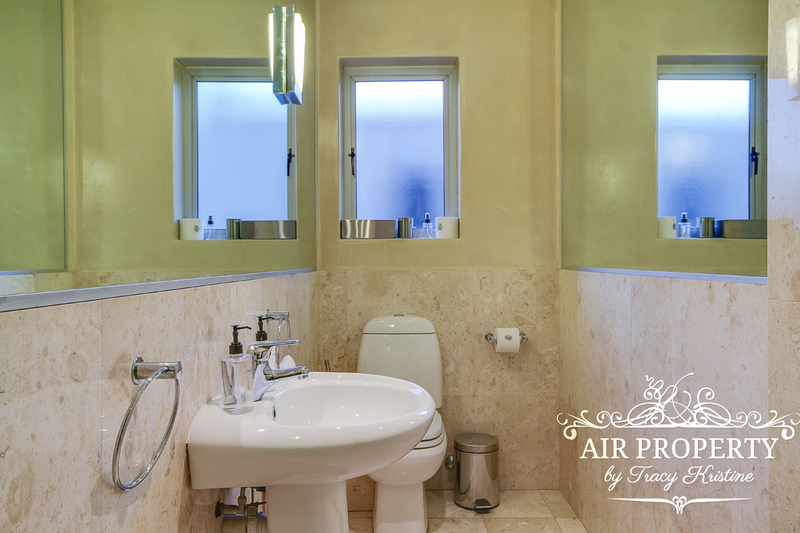 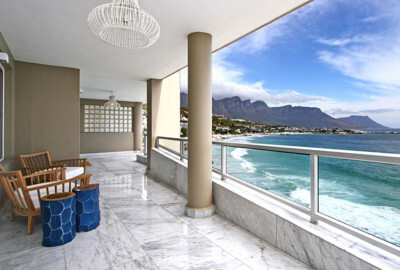 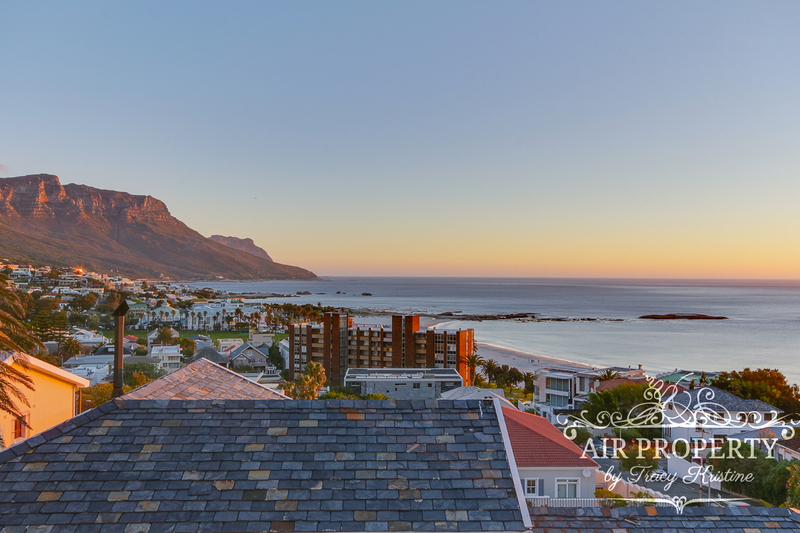 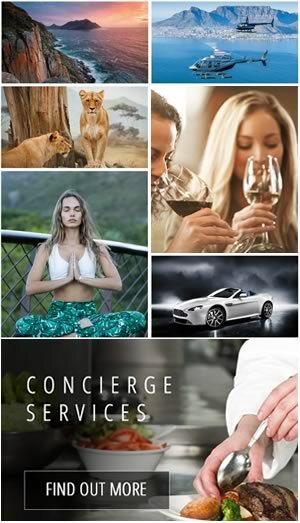 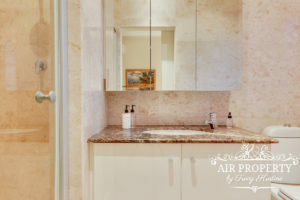 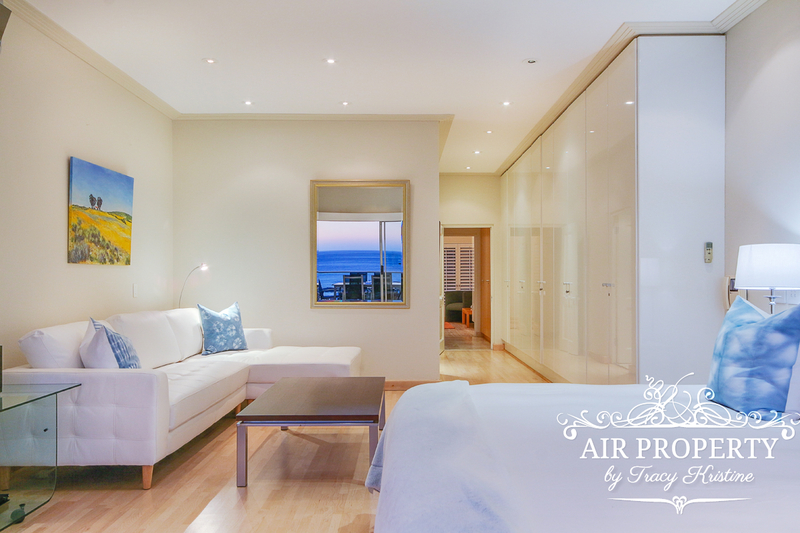 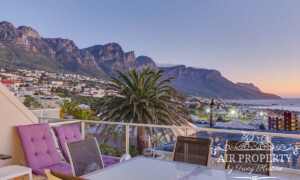 Carefree Sunshine is a modern and clean 3 bedroom townhouse that is perfectly located for a family holiday in Camps Bay. 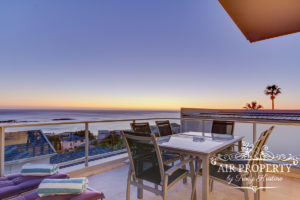 From this ideal location you won’t even need a car as you are walking distance to the beach and restaurants. 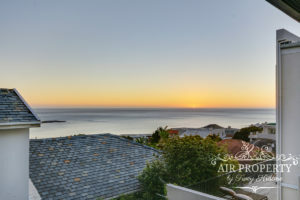 There are lovely sea views from the outside areas and the property has access to a communal pool in the complex. Please note: Master and second bedrooms are upstairs and the third bedroom is downstairs.